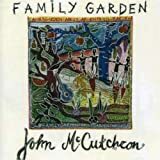 John McCutcheon's, "Here's to Cheshire"
This is a very pleasant-sounding variation of the "Frog Went a-Courtin'" ballad. While I don't remember how the original ends, I just noticed that in the last verse, John lays down the cruel truth that Froggie and Ms. Mouse won't be able to have kids.